One of the most important things about the Academic Task 1, be it a process diagram, map, graph, bar chart or table, is to write an overview. In the marking system, if you don't have an overview, your score for Task Achievement will be limited to a band 5. That of course could significantly reduce your overall writing band score. An overview could appear near the beginning, at the end as a conclusion, or even as topic sentences. I tend to advise students to do it at the beginning. The overview is described in this lesson about how to describe a graph if you want to learn more. In this practice exercise, I want you to take a look at the above graph, and write your own overview (not a response to the whole graph, just the overview). If you want you can post it in the comments box below. On Friday I'll then choose some of the best ones and point out if there are problems with any. There is not one specific answer - often there are several things you could choose so answers will likely vary. Overall, it can be seen that the rate of revenue and user charges had an increasing trend from 2012 to 2022, whereas the other two show a fluctuating trend throughout the given period. It describes the main trends occurring over the period. Overall, The graph describes historic behaviour and a futurist tendency of the finances for a local authority in New Zealand. The line graph compares the past and projected finances, allotted at different rates for a local authority in New Zealand within a period of eleven years. Overally the rates revenue and user charges are steadily increasing throughout the years whereas borrowings are following an erratic trend.Grants and subsidiaries remains the lowest in the given period. Overall, in 2012 to 2022 the rates revenue and user charges are gradually increased the borrowings and graphs and subsidies are fluctuating trend throughout the timeframe and predicted that the steady rate. I recommend ielts blog for all ielts info. It is certainly a great blog. 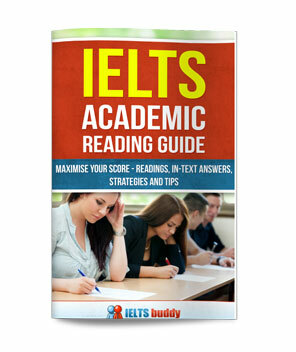 It is a source we have also relied on to get info on IELTS. Thanks a lot. Overall, the position of Rates revenue had a significant increase after the first year while User charges had an amazing increase from the first year. However Borrowings, Grand and Subsidies witnessed a fluctuating position during the 10 financial years. Overall, it can be seen that rates revenue and user charges show an increasing trend throughout the given period.On the other hand, borrowings, grants and subsides fluctuate between the given time span. 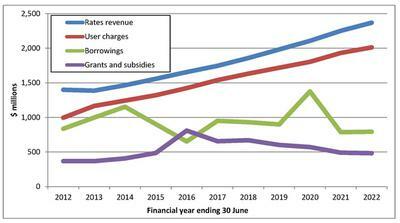 The graph shows the rates revenue, user charges, borrowings, grants and subsidies and a local authority in New Zealand its fluctuations and reductions from 2012 to 2022. Overall, it seems like there has been upward trend in Rate Revenue and User charge whereas, Borrowing and Grand subsidies had their fluctuation over the period of 2012 through 2022. In general,as indicated, the percentage of revenue and user changes have an overall static increase during the period whereas the trend of borrowing sees a noticeable erratic; and the other item experiences relatively unchanged status. Overall, the rate of revenue and a quantity of money from user’s charges will rise throughout the period. While the figures of borrowings as well as finances for grants and subsidies will fluctuated, although they will be almost the same till the and as at the beginning. Overall, rates revenue and user charges increased gradually during the mentioned period and is expected to increase in the future. Borrowings showed fluctuations, whereas grants and subsidies remained relatively stable (except from 2015 to 2017 and it is predicted that both will follow the same trend in the future. This is a line graph showing the past, present and projected finances of a local authority in New Zealand. According to record Authority has been seeing great rise in rates revenue, exceeding its initial point of 1500 million to the anticipated highest of 2500m. Simultaneously user charges have been following the same pace of succession and are expected to continue until 2022. Whereas both grants as well as borrowings are fluctuating constantly. Apparently we can see some over-lapping in the year 2016 where borrowings are at the lowest point and grants are higher comparatively, but by 2022 both seem parallel. overall rates revenue and user charges have been increasing gradually throughout the years and according to surveys would continue to do so. on the other hand grants and subsidies have been through up and down intervals and will reach stability by the year 2022. 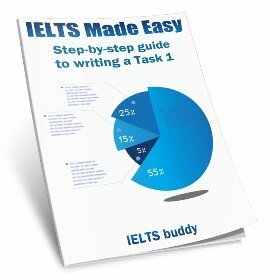 As a former IELTS examiner trainer I would like to advise the following format for writing the task one essay and the importance of the overview statement. The introduction should be a paraphrase of the question statement and should describe both the horizontal and vertical axes. The overview (which will now be your second and separate paragraph) will describe the 'big picture' and summarize the information given in WORDS. Data from the graph should not be included in the overview as your body paragraphs are used to provide the relevant figures/numbers. As one student demonstrated above, using the key word 'overall' is a good 'sign post' to the examiner that you are creating your overview. This is important so that the examiner can easily see that you have included this essential statement. I advise separating the introduction and the overview so that it is absolutely clear and this will be important for your score for cohesion and coherence as well as task achievement. Remember, these elements are worth 50% of your total band score. There is no problem if you wish to place the overview statement at the end of your essay and you can sign post this by beginning your statement with the words 'To summarize' or 'In summary' (summary and overview are synonymous) so the examiner will know that this is your overview statement. I generally advise my students that the word 'conclusion' is better left to a task 2 essay as you should not be drawing conclusions in a task 1 essay, only reporting on the data. 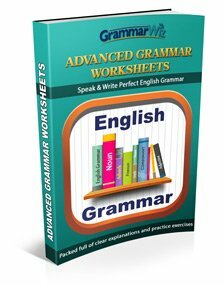 Hope this is helpful and I wish you good luck in your writing. Of course, as you know, 'luck' has nothing to do with getting a good band score; it's all about hard work and PRACTICE! It is clear that by far rates revenue figures were the most expensive cost and this trend is expected to continue over the period shown. Also while rates revenue and user chanrges expenses saw an upward trend,borrowings and grants cost remained fairly stable. Overall, it can be seen that the rate of revenue and user changes had an increasing trend from 2012 to 2022, whereas, other two show a fluctuating trend in throughout the given period. The line graph illustrates the financial status od a local authority in New Zealand between the period of 2012 and 2022. The graph has a futuristic estimation. Overall, the main revenue depends on rate revenue and user changes with gradual increase while borrowing, grants and subsidies are demonstrating fluctuation. This is a very good point. As a former examiner I can assure readers that the most common score in China is 5 for task achievement because almost all candidates write no overview. 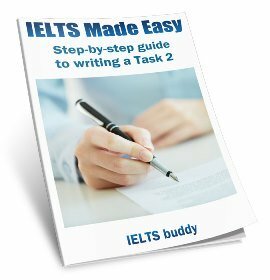 As a teacher of IELTS, as I now am, I tell my students to consider two things. The introduction is what you've been given and the overview us what you learn from the data.